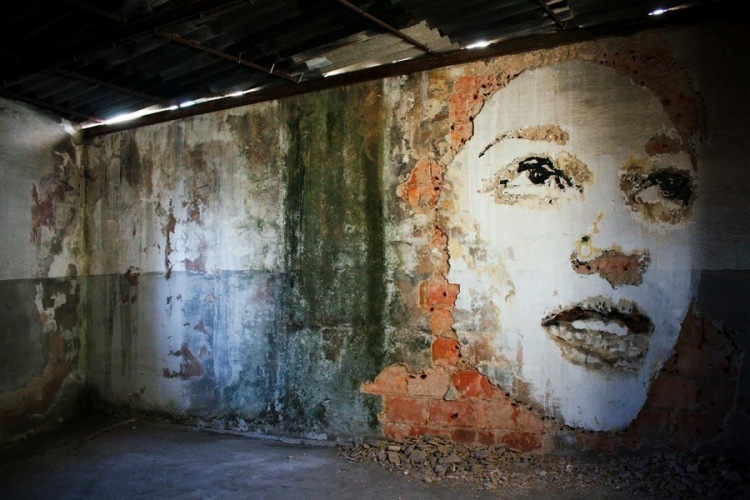 The first thing that calls the attention upon the works of Alexandre Farto (aka VHILS) is the texture of their images. 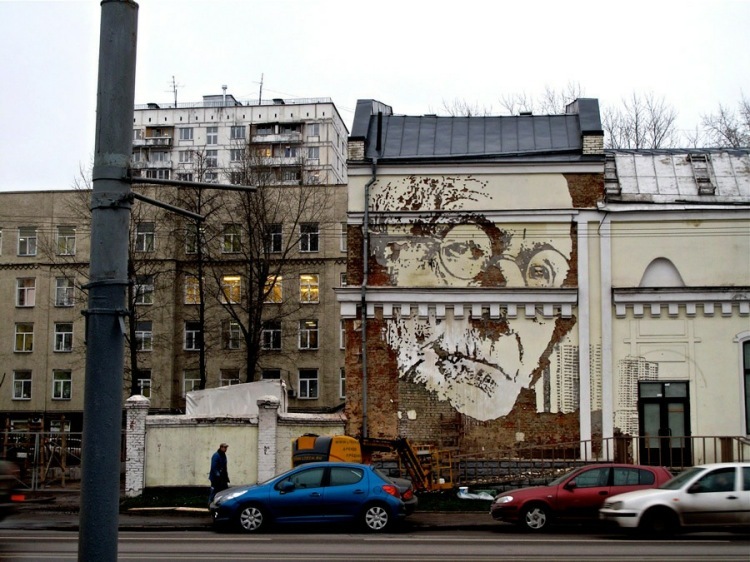 The entrails of the walls, old billboards and papers became the raw materials of iconic and timeless faces, even if their "wrinkles" register the marks of the urban decay. The Banksy's street art language is still there, but used on a different and intriguing context. 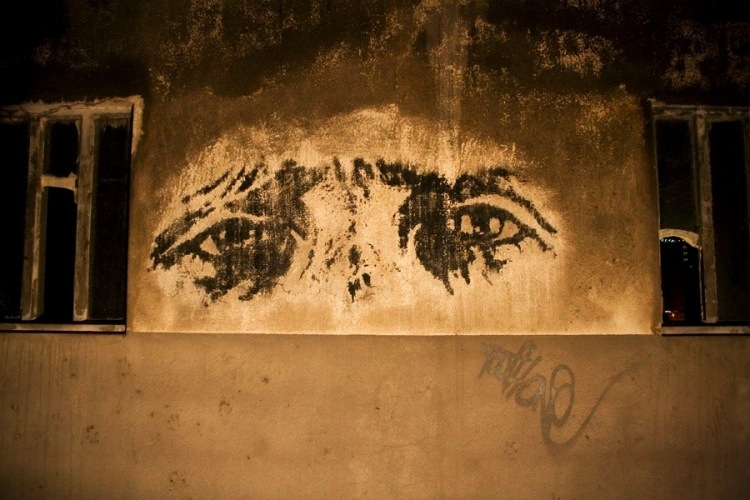 Properly baptized as Scratching the Surface (escavando a superfície, em tradução livre), these series of works take the urban environment to the art galleries: among those which Alexandre's work had been exposed, is the prestigious Lazarides, in London. In fact, it seems there's no frontiers for his method of creation, as the artist already worked with animations, krats and collaborating with other artists and musical collectives as Buraka Som Sistema. A consequence of is academic education or an influence of his first steps on graffiti during his teenage -- it doesn't matter: the versatility and proficiency of Alexandre is admirable and an example of what the new generations have to offer to the visual arts. 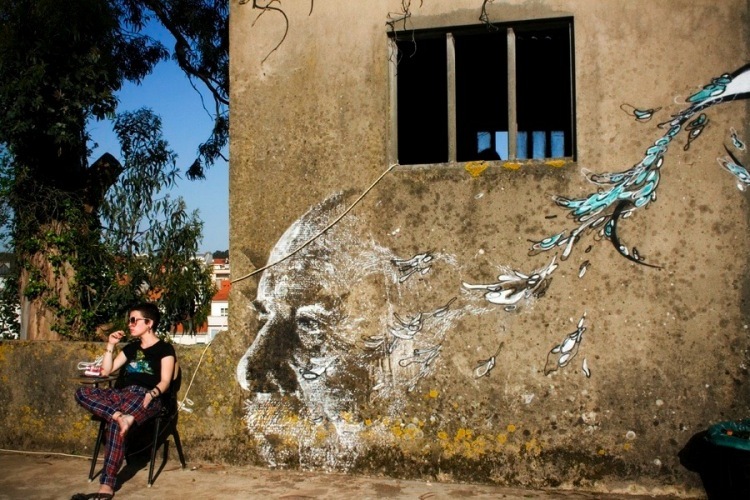 Drill machines, bleaches and acids, naturally destructive elements, are used as creative tools with the traditional sprays, stencils and inks, showing also an innovative artistic proposal, technically speaking. In a world where the human being has an increasingly symbiotic relation with the metropolitan areas, baring façades to find new meanings at decaying environments is a wonderful fresh-air. 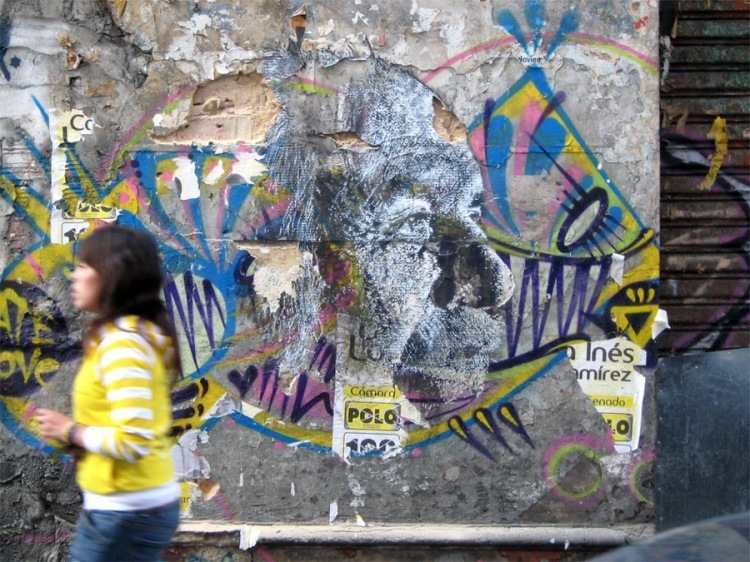 An anonymous quotation published by VHILS on his official website perfectly synthesizes the question: "Beauty is but skin deep, ugly lies the bone; Beauty dies and fades away, but ugly holds its own".